In a Nutshell: Credit card debt can build up fast — especially when life deals out unexpected expenses or emergencies. While credit cards often set low minimum monthly payments, those installments can keep debt building for years or decades longer than consumers expect. Golden Financial Services works with clients who are behind on their credit card payments to consolidate or settle on the amount owed so they pay more affordable installments. For consumers who have debts in collection, Golden Financial provides settlement and validation services to reduce the amount owed to pennies on the dollar, and, once paid off, possibly remove the delinquency from a client’s credit report. Life comes at you fast. Bills that were once easy to pay each month can suddenly become too much to handle after an emergency or change in employment status. Add to that the small, daily charges, like for your morning coffee, and your credit card payment can quickly grow into a giant, unmanageable debt. Millions of Americans are currently paying only the minimum due on their credit card bills each month because of financial constraints. While those payments may satisfy the credit card issuer’s monthly requirement, they can also keep you in debt for years — or even decades — longer than you planned. If you’re currently struggling with what seems like an insurmountable amount of credit card debt, or if you’re behind on your payments and can’t afford the minimum monthly payments, there are options for relief. Paul Paquin, CEO of Golden Financial Services, says his company helps consumers consolidate their debts and repair their credit history. For more than 13 years, consumers have turned to Golden Financial Services for debt relief, settlement, and consolidation services that have received positive reviews and an A+ Better Business Bureau rating. Golden Financial also teaches consumers how to make smart financial choices so they can get a fresh start upon completion of a debt program. Golden Financial specializes in consumer credit counseling services as well as debt settlement and debt validation programs — the latter of which can eliminate debts for significantly less than the full balance owed and potentially wipe away negative marks on a client’s credit report. Paquin noted the minimum debt load to qualify for counseling services in most states is $7,500, though some states require at least $15,000 in debt. Golden Financial’s website allows potential clients to get a free debt relief quote without further harming their credit score. 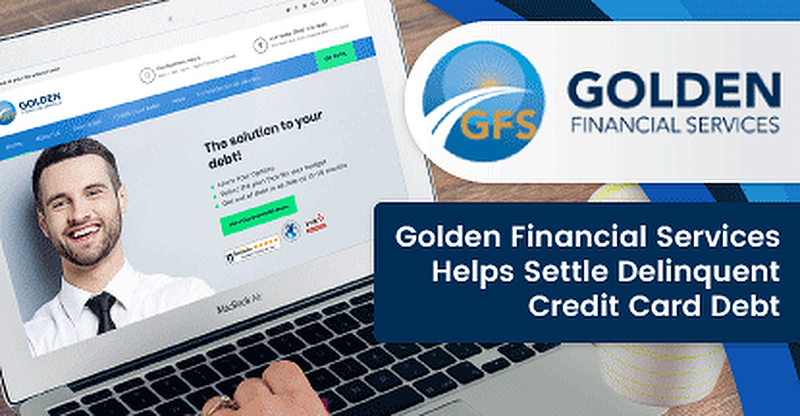 Golden Financial’s consumer credit counseling programs consolidate credit card debt into one monthly payment that it then distributes to the client’s various debtholders. The company’s ability to renegotiate interest rates makes this program a solid choice for consumers who aren’t yet behind on their debts but need relief from burdensome interest charges. What really helps clients get ahead is that the new monthly payment also includes all of Golden Financial’s fees, which means no extra or unexpected charges upon completion of the program. Paquin noted that the average consumer who enrolls in counseling sees interest rates reduced from around 25% to approximately 8% to 10%. While the decrease is significant, it’s important that consumers also recognize that the length of any credit counseling program depends on the total amount of debt consolidated, and that participating in any program can impact their credit report. Unfortunately, debt consolidation isn’t possible once the debt is sent to collection due to a major delinquency. But even debts in collection continue to report on and weigh down your credit profile. Luckily, Golden Financial offers a couple solutions for clients who have debt in collections — debt settlement and debt validation. While settlement is possible for nearly all debt in collection, Paquin tends to steer clients toward debt validation because it can allow them to pay less to eliminate the debt and possibly even remove its negative impact from a credit report. Still, debt settlement allows clients to eliminate their debt in an average of 42 months for around 40¢ to 50¢ on the dollar. Paquin explained that banks often send over spreadsheets to credit collection agencies that contain approximately 100 or 200 customers who are delinquent on their debts. The agencies purchase the entire lot of debt for a fraction of the amount owed. The debt then becomes property of the collection agency, which attempts to collect whatever it can from the account holder or lose its total investment. In almost every case, the agency is willing to renegotiate the total amount owed to recoup its investment, along with a small profit for it efforts. Paquin said the process is a win-win for the client and the agency. Paquin noted that, in some cases, collection agencies don’t acquire all of the paperwork associated with purchased debt. If an agency cannot provide the basic paperwork that was generated when the loan was initiated, the debt becomes legally uncollectible. In those cases, Golden Financial can typically settle the debt and have it completely removed from the consumer’s credit report. 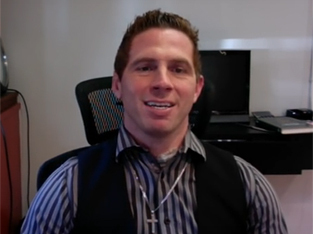 Of the three main debt services Golden Financial offers, Paquin said debt validation is the most popular and almost always the cheapest option for clients. Golden Financial Services offers guidance and debt services to help consumers get their finances back on track. Since clients are paying much less, they can usually pay off and close their accounts in less time. That means clients can begin rebuilding their credit scores in months instead of years. Once clients exit a debt relief program, their focus typically moves to establishing a positive credit history that will allow them to obtain more affordable credit. Paquin said that Golden Financial’s services won’t completely clear negative marks on a client’s credit report — especially any acquired during its counseling services — but the company can jumpstart the process of clearing enough items to give the client a fresh start. The process is part of Golden Financial’s objective to help its clients on their financial journey from start to finish. To date, thousands of Americans have successfully used the company’s various services to get the breathing room they needed to once again obtain fiscal freedom.